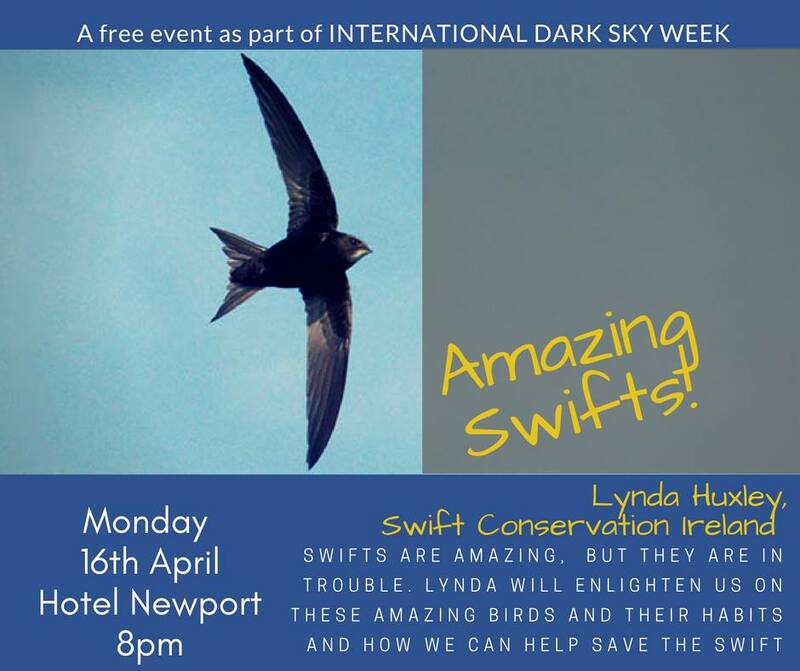 On Monday April 16th at 20:00 in the Hotel Newport, Newport, Lynda Huxley will be giving a talk as a part of the “Mayo Dark Skies”. Artificial light can be a problem for migrating birds and at their nest sites. Lynda will be sharing information about this amazing bird and how we can all help them.